"Currently persuing DM in medic oncology from JIMER, completed DNB from Kanchi Kamakoti Child Trust Hospital with a gold medal, has great academic interests, contributed about 9 chapters in scott pediatriks clinical methods and is one of the co-author at dnbpediatrics.com"
b) Severe arterial hypoxemia resistant to oxygen therapy alone (PaO2/FIO2 ratio ≤200 for ARDS and ≤300 for ALI). d) No evidence of left atrial hypertension. The Murray Lung Injury Score for ARDS utilizes lung compliance, PaO2/FiO2 ratio, degree of alveolar consolidation and level of positive end-expiratory pressure for defining ARDS. Identification of the trigger source and source control are important in management of ARDS. Sepsis being a common trigger for ALI/ARDS, early antibiotic therapy is recommended in cases suspected of being infected and intravascular volume expansion with crystalloids and vasopressors are used to manage patients with shock. Respiratory support for patients with ALI/ARDS ranges from supplemental oxygen to assisted ventilator support. Respiratory support is complicated by ventilator induced lung injury resulting from alveolar over-distention (volutrauma) due to low lung compliance and high ventilatory pressures combined with repeated alveolar collapse and re-expansion (atelectrauma), and oxygen toxicity. The goal of ventilating patients with ALI/ARDS is to maintain adequate gas exchange with minimal ventilator induced lung injury. For children with ALI/ARDS PaO2 of 60 to 80 mm Hg is usually considered safe. High FiO2 should be avoided to minimise the risk of direct cellular toxicity and avoid reabsorption atelectasis. Decrease FiO2 below 0.6 as soon as possible. Permissive hypercapnia during mechanical ventilation has led to significant decrease in ARDS mortality. VT <6 mL/Kg and plateau pressure <30 cmH2O. Combining lower tidal volumes with higher PEEP improves outcome . keep PEEP above lower inflection point. PEEP improves oxygenation by providing movement of fluid from the alveolar to interstitial space, recruitment of small airways and collapsed alveoli and an increase in functional residual capacity. Current clinical practice in absence of routine static PV (pressure-volume) curve measurement is to keep PEEP between 8 cm H2O and 20 cm H2O. PEEP should be progressively increased by 2–3 cm H2O increments to maintain saturation between 90 and 95% with FiO2<0.6. Child should be monitored for any evidence of cardiovascular compromise and hyperinflation. If facilities for monitoring Pressure-volume loops are available, then it is desirable to keep the PEEP above the lower inflection point. The I:E ratio may be increased to 1:1 or 2:1 (inverse ratio ventilation) to improve oxygenation. Use pressure regulated volume controlled mode. It is the setting rather than the mode that is important. The preferred mode is time-cycled, pressure regulated, volume controlled mode to limit plateau pressure to ≤30 cm H2O. Use of a recruitment maneuver in child who desaturates either due to worsening lung condition (maneuver followed by increase in setting) or after disconnection of circuit for suctioning. This can be achieved by a manual inspiratory hold for 20–30s, before starting maneuver rule out AIR LEAK. During weaning, the ventilator’s contribution to total ventilation is gradually reduced. The weaning is started by simply reducing the frequency of controlled breaths which goes on until no ventilator breaths are used. In volume-controlled ventilation, the VT is usually reduced to about 4–6 ml/kg. In pressure-controlled ventilation, the PIP is gradually reduced in steps of 1–2 cm H2O. PEEP and FiO2 are reduced while monitoring the PaO2. As the amount of mandatory support is reduced, PSV can be introduced into SIMV mode with PSV of about 5–10 cm above PEEP. Extubation is planned once the child’s respiratory condition improves allowing decrease in ventilator settings to minimal- FiO2 of less than 40%, PEEP of 4–5 cm H2O, rate of 15/min or less, PIP of less than 15 cm H2O. The child is hemodynamically stable and sensorium is normal/near normal with presence of protective reflexes. Dexamethasone may be used prior to extubation in case ventilation is prolonged for more than 10–14 days to reduce airway edema. Bronchodilators Give bronchodilators only with clinical evidence of bronchospasm. Children who fail to improve on conventional ventilation or deteriorate. HFV particularly useful in children with air leaks- pneumothorax, bronchopleural fistulae. High-frequency oscillatory ventilation uses high-frequency very-low tidal volumes and laminar air flow to protect the lung. It was found that high-frequency oscillatory ventilation is associated with higher mean airway pressures, improved oxygenation, and a reduced need for supplemental oxygen at 30 days. Extracorporeal membrane oxygenation used as a rescue therapy. Restrict the fluid intake to about 2/3rd of maintenance once the child is hemodynamically stable. 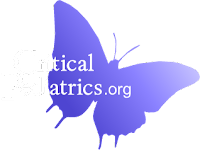 Fluid restriction should only be implemented after children have been resuscitated adequately from septic shock. Once hemodynamic stability is achieved, fluid administration should be limited in an effort to minimize the capillary leak and control pulmonary edema. Try to maintain hemoglobin >10 g/dL in children with shock or profound hypoxia and >7 g/dL in children clinically stable. Initiate enteral nutrition as early as possible. In children who are unlikely to tolerate eneteral feeds for few days, parenteral nutrition is initiated, Omega 3 fatty acid supplementation improves clinical outcomes. Analgesics and sedation should be used to minimize physical and mental discomfort. Use of muscle relaxants in children with ALI/ARDS should be limited. Start midazolam for sedation on as required basis and fentanyl or morphine for analgesia and do not use muscle relaxants in routine. Monitor the glucose values regularly and consider use of insulin if the values are persistently above 180 mg/dL. Coagulopathy and mechanical ventilation are risk factors for clinically important gastrointestinal bleeding in children. Use stress ulcer prophylaxis with intravenous H2 antagonist or proton pump inhibitor. consider prone positioning in children who do not respond to ventilation strategy. Inhaled nitric oxide is a potent pulmonary vasodilator and doses as low as 1 ppm can improve oxygenation in ALI/ARDS. It may be used in patients for temporary rescue where hypoxemia is refractory to more conventional interventions. Aerosolized prostacyclin may improve oxygenation in children with ALI/ARDS. Corticosteroids decrease the production of a number of inflammatory and profibrotic mediators by many mechanism.